May 1998 of the British Magazine, Practical Classics. 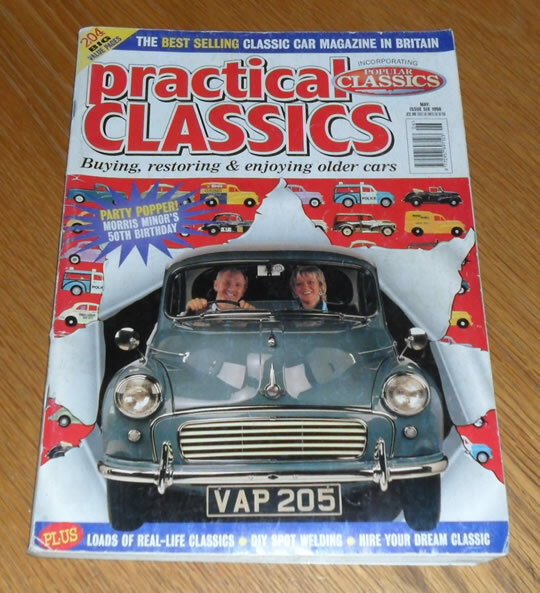 The cover feature of this issue is the Morris Minor. 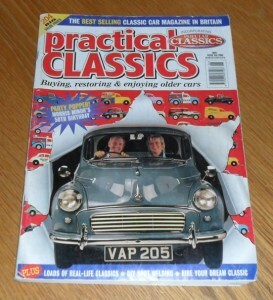 Other articles include items on the Jensen CV8, Standard Vanguard, TVR M, and many more.